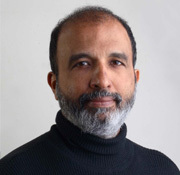 Sanjay Jha is the National Spokesperson of the Indian National Congress party. He is co-author of the bestseller ‘The Superstar Syndrome’. Mr. Jha is a former banker, and also a leading Management Consultant in training. I have often visualized the BJP election machinery employing professional advertising copywriters for this campaign, who double up as speech-writers too; everything is scripted to their desired perfection, and then to attract electronic media, in particular, sound-bytes are artfully manufactured. In presidential democracies, since personalities manifest party ideology besides their own individual quirks, regular repartee is the norm. Usually, in parliamentary formats, it is the political organization that takes precedence, even if star leaders invariably influence discourse. But this Indian election has been unique because with palpable resolve the BJP allowed itself to be subordinated by the contentious personality of Narendra Modi; everything else paled into insignificance. Thus, even the economic vision of India was shrunk into Modi’s own state of “Gujarat model”, and it was made to appear like a cookie-cutter solution to India’s challenges. Someone on Twitter remarked, does Mr Jaitley think the state government apparatus is personal jagir of Mr Modi and Amit Shah? Frankly, considering he is an eminent lawyer and a consummate wordsmith, Jaitley clearly blundered there; a Chief Minister does not have a private jurisdiction on public resources and we are not even talking yet about the violation of Supreme Court guidelines or the Indian Telegraph Act! Jaitley seemed exasperated at being questioned by Rahul Gandhi on Modi’s marital status; seriously, why did Modi so deceptively conceal his marriage from the public domain for so long? In mature democracies such disclosures by political leaders are considered hygiene; any attempt to obfuscate that would create a furor. Sorry Mr Jaitley, this isn’t personal, it’s actually official/technical/ logical and practical to ask. And the reason it is germane to probe deeper into these perfidious zones is because on multi-color full-front page advertisements Modi is seen expressing solicitude for women’s safety and empowerment. If Priyanka Gandhi Vadra has raised these issues, it is because it appears that the BJP is trying to boondoggle the innocent people of India with its relentless propaganda, bereft of honesty and substance. And she has every right to doggedly pursue the truth; BJP is understandably perspiring under the penetrative questioning. BJP’s counter-attack has been, on the contrary, viciously personal. They have targeted Priyanka’s husband Robert Vadra, about whom the Supreme Court observed in October 2013, while dismissing a public interest litigation: “We will not allow you (the petitioner) to destroy the name of a person. Merely because he is related to politicians, you cannot call him a sinner”. Earlier, the Allahabad High Court had rejected a PIL in March 2013 calling it “frivolous”, and a regular business dealing, defined as “a transaction between two private entities”. Rest assured, the entire BJP leadership, including Mr Modi are aware of the above statements of the highest judiciary of the land, but choose to conveniently overlook it. The BJP has mastered the sport of mud-slinging. It is interesting that with his RSVP assault having boomeranged, Modi’s mask dramatically fell apart, as, looking perceptibly rattled, he said; “I will account for every penny. I will take revenge”. That kind of overt, flagrant vindictiveness has rarely been countenanced in our great democracy, and is most unbecoming of a man who aspires to lead our nation; some grave fault-lines there. Now that, ladies and gentlemen, is getting personal. Next Entry Rajeev Gowda is now Rajya Sabha MP!